Took the train from Union Station (DC) to Philadelphia’s Historic 30th Street Station. Wow, had no idea the Philly station was so cool. Great architecture, huge war memorial statue, old-fashioned flipping sign. 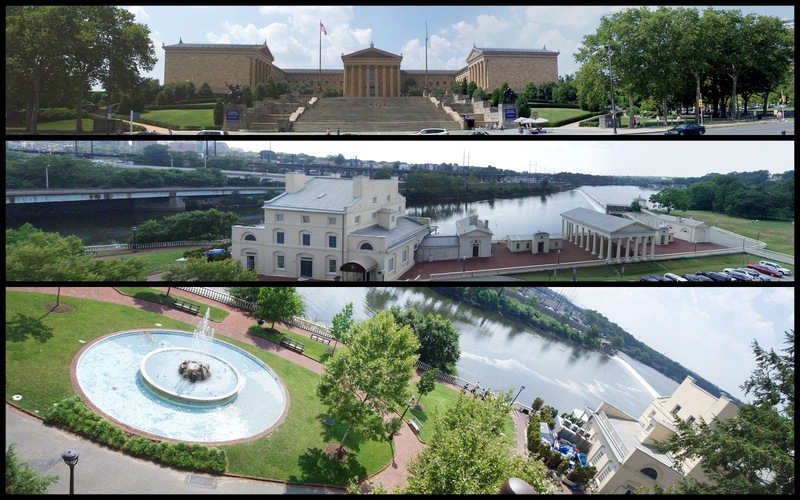 In front of the museum are the famous “Rocky Steps.” In several of the Rocky films, Sylvester Stallone’s character works out (in part) by running up the steps in front of the museum. It was really fun to hang out at the steps. There is a a brass set of footprints at the top of the steps where Rocky makes his triumphant stance, there is a pretty steady stream of folks re-enacting the jog up the steps (and if you make the dash, a local hawker tries to sell you a t-shirt), and there is a larger-than-life Rocky statue to the right of the steps where plenty of folks pose for photos. So there are three important photo ops here. You are supposed to get a photo actually running up the steps, a photo at the tops with your arms raised high, and a photo with the statue. You got all that? It was so fun to watch everyone, they should totally put a webcam on this like they have on Abbey Road in London. 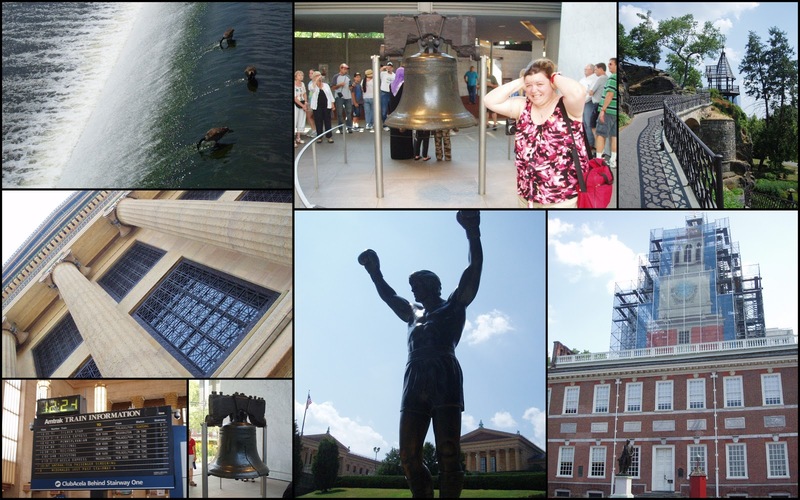 Then we headed back toward our hotel and stopped at the Liberty Bell Center. Crowds were light on Tuesday at 4:15. We also saw the Presidents’ House, one of the precursors to the White House. Washington and Adams both lived here for a period. The original house has been long demolished, but excavation has revealed some of the original foundation.